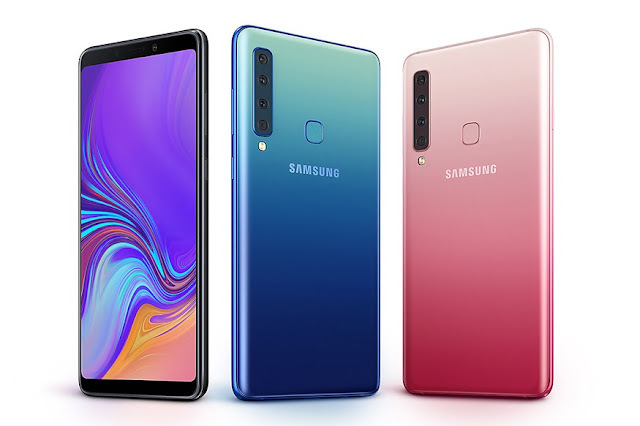 Samsung has once again slashed the pricing of its quad-camera equipped smartphone, the Galaxy A9. If you remember, Samsung had reduced the pricing of the smartphone last month from Rs 36,990 to Rs. 33,990. The new reduction in price has now brought down the effective cost to Rs 30,990. The Galaxy A9 sports a 6.3-inch Full HD+ (1080 x 2220 pixels) Super AMOLED display with a PPI of 393. The smartphone is powered by the Qualcomm Snapdragon 660 Mobile Platform, which is an octa-core processor. It includes 6/8GB of RAM and 128GB of internal storage (supports expandable storage up to 512GB via microSD card). In terms of optics, there is a quad camera setup- 24-megapixel autofocus sensor with f/1.7 aperture + 10-megapixel telephoto sensor with f/2.4 aperture + 8-megapixel ultra-wide sensor with f/2.4 aperture + 5-megapixel depth sensor with f/2.2 aperture. On the front, there is a 24MP camera with f/2.0 aperture. Samsung says that the Galaxy A9’s main camera uses Pixel Binning technology to merge four pixels in one for capturing details. There is also an “Intelligent Camera” scene optimizer for detecting from 19 different scenes and adjusting the settings accordingly. The handset is backed by a 3800mAh battery and supports fast charging via USB Type-C and runs on Android 8.0 based on Samsung Experience UI. The drop in price could be an indication that the company is working on launching the higher-end version of the Galaxy A9. According to sources, the Galaxy A9 Pro will take a step ahead and will include Samsung’s Infinity O display, which is basically the same as a ‘punch-hole’ camera.